The first time I street-preached it wasn’t on the street. It was in my prayer closet – my daughter’s bedroom. A hairbrush was my microphone, the Lord Jesus my audience. I wept and pleaded for sinners to turn to God, to flee from the wrath that is to come. I preached my heart out, to Him. Then I fell on my face and wept and wept. I was under the anointing and I knew He was pleased. Mind you, it took a long time to get me to even this point. First there was the call to preach years before, then sometime later He commissioned me with Isaiah 40. Both of these occurred when I was alone with Him in my prayer closet. The commissioning was terrifying. I was so scared that I was shaking and ran out to my husband crying “God has just commissioned me! But I don’t know what for!” I was almost too scared to ever return to the prayer closet again. Both times I knew He was calling me to something but I did not have a clear picture of what it was. He had asked me “Will you feed the multitudes?” and I had said yes, but at the time I didn’t understand what that meant. Then came the dreams and “visions”. One dream was of me standing on a box in the CBD of the city and preaching God’s coming judgment, warning people in suits to flee from the wrath that is to come. There was the “vision” of me preaching during the day in the city with a certain huge guy standing next to me, almost as a bodyguard. (This was fulfilled last year). Then I actually began going out to the street, Friday nights into the city. I didn’t preach for probably a year though. I spoke with people, prayed with them, handed out tracts. The pastor I went with kept encouraging me to preach but I’d say “No, no, I couldn’t”. One was in Angus Buchan’s biography. This book details how God also first taught him to preach in his prayer closet, the cornfield. He would stand in the back of his truck and preach to the corn stalks. The other occurrence was David Wilkerson. Before he went to the streets of New York God had him walk the fields around his home and pray and prophesy to the trees. 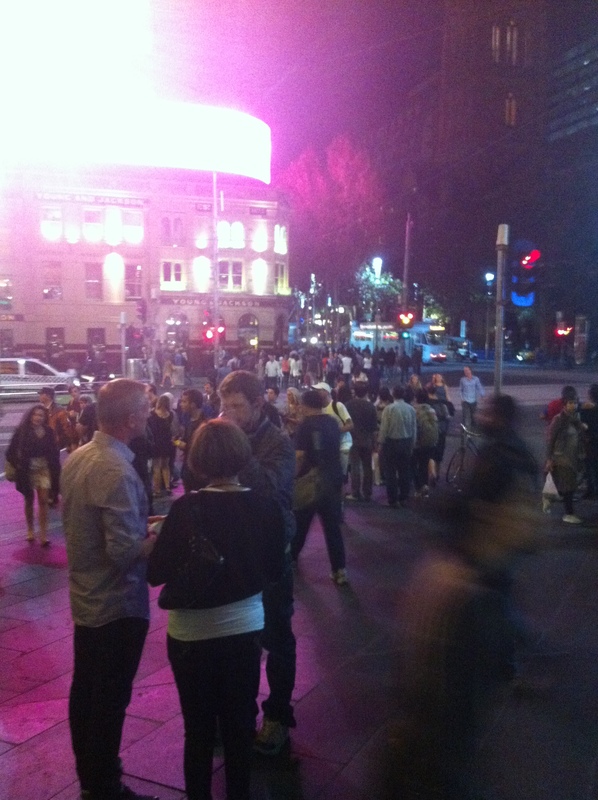 My first night of street-preaching, actually on the street, eventually arrived. I can’t remember why this particular night I said “Yes” when the pastor asked me to preach, but I did. I got up there, terrified, microphone in one hand, Bible in the other. I deliberately held the open Bible two inches from my face as I read it so nobody could see me and I couldn’t see them. I read out John 3:16. Someone said “Amen” as they walked past me, then I turned the microphone off. That was all I could manage at the time. But I have been trained since, and I am still being trained. And it was the Lord who trained me. 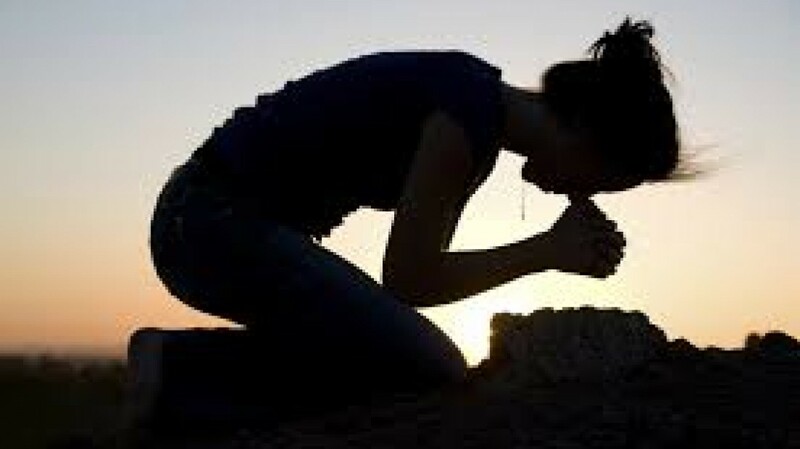 He trained me in the school of the prayer closet. He trained me by the Holy Spirit, through tears and through prayer. He taught me that when I preach I am to preach to Him. Even on the streets. Even surrounded by crowds. It is Him I am preaching to, it is Him. I felt to write this today. It is the season of Pentecost and I feel it is for someone in particular to read, so I pray that this will bless, encourage and inspire whoever it is for. In Jesus’s wonderful Name, Amen. Categories: Street Preaching | Tags: 2014, Christian, Christianity, closet, evangelism, great commission, ministry, Pentecost, prayer, street preacher, street preaching, training, Women | Permalink. Hi sis, I found your blog today a couple hours before my first time going out to preach on the street today with another sister. I was so happy to see that you were a woman 😉 I was born again about two years ago and I started street evangelism about a year ago. One of the men that I go with always asks me to preach and I always said no, and I thought to myself, NO WAY. I bought some amplification a couple weeks ago, The Lord knew I wanted to preach, and He also knew I needed more from Him and He gave it to me! I kept thinking to myself, I want the tribulation to start so I can go preach the gospel:) Then I realized that was ridiculous, the people are perishing now. I have also felt a little guilty about wanting to preach the gospel, because people seem to think women should stay at home taking care of their kids and never leave. How many women spend half a day a week shopping or out with their friends and no one thinks anything of it. Oh, but if you want to evangelize the lost, you aren’t doing your motherly duties. You were an encouragement to me. I was literally exhausted and out of breathe when we finished preaching. I am soooo happy! I trembled a little at first, but then it was fine. After I got through, I kept thinking…I can’t believe you did that Lord Jesus! All glory to Jesus, all of Him, none of me! Wow Kristen!! How awesome! Praise the Lord – He is so amazing! I am so glad you found me 🙂 or rather, God led you to me. I knew that post was for someone in particular….I am so happy for you to have preached – your first time!! It really is the best feeling in the world isn’t it? Well sister, you are on the road to a great adventure now! Don’t be surprised if the enemy tries to come against you in a great way after this victory for the kingdom of God. Plead the blood of Jesus around you and your family and pray. Isaiah 54:17 is a good scripture. Never give up, stay encouraged, stay in the Word and prayer and God will do great things through you and in you. Keep up the great work Kristen and Belinda. Before I began street preaching i was living in the hills. I used to walk around the lake there preaching to the trees etc. One day a man walked quietly passed me – I don’t know what he thought! Praise to God ladies. Wow, you’re out there? All I have ever witnessed were those preaching a perverted theology of the end of the world or a distortion of Jesus into some fringe religion. It is not my calling, but how thrilling to discover Jesus being shared with passers-by! God go with all of you and those like you. I was so blessed to read this. All of this….comments included. I am encouraged beyond belief. Sometimes I feel like a bit of an oddity as a woman street preacher. But I can’t turn back. What an awesome privilege to share the words of this life. Keep preaching sisters!! Let the world (and even the church) say what they will. It will be worth it all to hear Jesus say “well done my good and faithful servant.” God bless you all so much! God bless you too Eirene! It in turn encourages me to know there are other sisters out there sharing the Word on the streets. I agree – I long to hear those very words from the Saviour’s mouth one day. Everything will be worth it, just to hear Him say that and to see His face. Your comment has caused me to wonder whether it may be worth starting up a forum/facebook page for this very purpose – to encourage women street preachers, to share experiences and wisdom, to pray for one another…etc Not in order to exclude men, men are awesome, but simply because we face a different battle as women on the frontline. What do you think? Oh wow – I think that could very possibly be amazing!